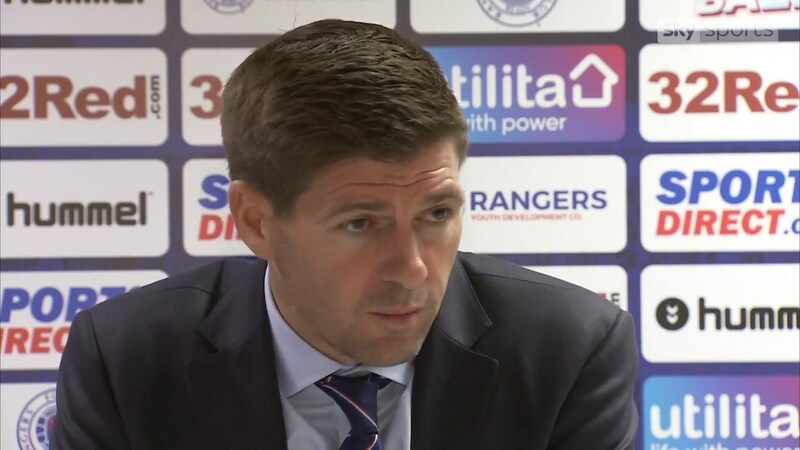 We’ve seen fans discuss this topic a lot, and while we knew about it like everyone else when Stevie said it on Sunday, we held our counsel on it regardless. We’ve been accused of kneejerk reactions to bad results in the past, and some of that is a fair response, but we didn’t see a lot of point in aggressively criticising what was an admittedly terrible performance and result against Derek McInnes’ men – an isolated league loss is not the end of the world, but of course it does end the 10-game unbeaten target we talked about in a previous entry. 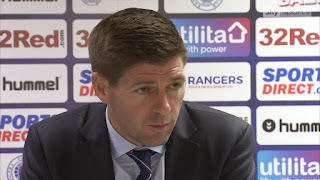 However, it was what Gerrard said in his post-media duties which fascinated us immensely – he accused the players of failing to follow his instructions, and that too many of them had bad days. It’s not often we hear a manager state this, that his players did not play their part according to his letter and inferring that he had a plan to handle Aberdeen but his players didn’t carry it out. This is interesting on a number of levels. First off – Rangers’ season-long hoodoo of horrific results against the Pittodrie side in all competitions (our previous article on the reverse hoodoo was about league results at Ibrox and the Dons’ away record) continues – while there was a decent display at Pittodrie, nevertheless the proof was in the result and it wasn’t good enough. Secondly, since then the displays and results have crumbled against this particular side, which argues that they’re as much about Derek McInnes knowing how to deal with Steven Gerrard, just like Tommy Wright was able to handle Mark Warburton as they are anything else. Thirdly, this accusation suggests the players barely listened to Gerrard and did not ‘run through walls’ for him. We’ve made this point about his past criticisms of the players having a counter-productive effect, and we looked at recent results and thought we might be wrong, but the Aberdeen result in isolation was a textbook example of players not listening or even really trying. Gerrard’s accusation post-match was a rare thing indeed, and he is evidently looking for a response this weekend. The question is why did they not carry out his orders to the letter, if that is indeed the main reason for the poor performance? Does it discredit Derek McInnes’ own tactics to suggest it – and the fact the performance was similar if not worse to the atrocity at Hampden does point to it maybe being an excuse on Sunday and a slight shifting of blame. From Gerrard himself as much as anything. Dundee might be rooted to the bottom of the table but they’re three matches unbeaten and are off the back of a huge win over Hamilton which has given their fight for survival a real boost, so after us previously describing that match as eminently winnable, we’d urge more caution now. We Lose to Dundee.....Sack Gerrard! No balls in midfield. Passing the buck when they pass the ball. Ejaria, Jack and Coulibally all prefer to pass the ball sideways then step back. The rotten mob have players like McGregor and Rogic who will drive forward and make a pass into the feet of the forwards or even have a go at goal if they get the opportunity. Our lot don't do that. Ejaria shoots once a game and even then he needs ten touches on the ball first. Coulibally and Jack carry next to no goal threat whatsoever. Our wide men should also be prepared to come inside and have a go. Tavernier seems to have forgotten how to shoot. There was also a complete lack of urgency when the sheep went down to 10 men. We don't have enough winners in our team yet. That was a perfect chance to throw down a marker and we didn't have the balls for it. Very, very disappointing. They're not getting disciplined, i.m.o. I have faith in the Alex Ferguson, school of management. The Brian Clough, school of management. The empty jersies are just not fearing SG and that, is because he is being too soft with them. It's ok to say..."it's not good enough" but you have to follow through with punishment benchings, or players will just take the piss. We saw it with both Caixhina and Murty. Managers need to be respected and also, somewhat feared. Ferguson would not stand for this "empty jersey" shite, quoting CJNovo992 and SG, must not, either. How many times have we been mugged off by set pieces, this season?? We're still, falling for it. Time to boot arses, NOT just make excuses, GM.